Just got back in from midnight mass. Which I guess means all I have left to do before I turn in (having had the first slice of the Christmas cake with a slice of Wensleydale, and a decent scotch (Ardbeg 10yo)), is to wish all my readers (and I guess listeners) a very happy and peaceful Christmas in whatever way you choose to celebrate it. I know I'm a little behind the times, but I note with sadness the passing of model-maker extra-ordinaire, Allan Downes, in August. For both my dad and I, he was one of the main reasons to race to grab the copy of Railway Modeller when it turned up in the mid/late 70s. His scenery making talents were flat out unbelievable. If you want a long read, here's a thread of him and almost equally gifted modeller Iain Robinson having a good-humoured 'model off' in RMWeb, that lasts right up to his passing, and is littered with utterly drool-worthy photos of their handiwork. Be warned, you will spend a fair amount of time going "is that actually a model???" 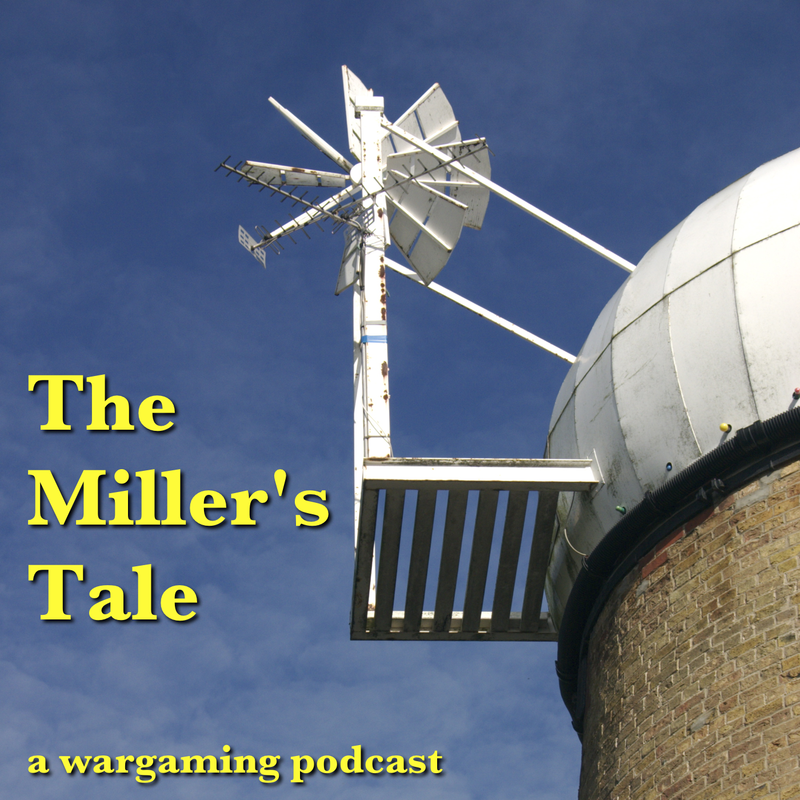 Episode 5: In which Mike talks about (among other things)... boats and trains? Trust me. There's method in the madness. Before anyone comments - yes, this is just over the hour, which came as quite a shock when I came to do the assemble edit. This is pretty much the upper limit on length I'm prepared to go - any longer and you'll get more and shorter podcasts! 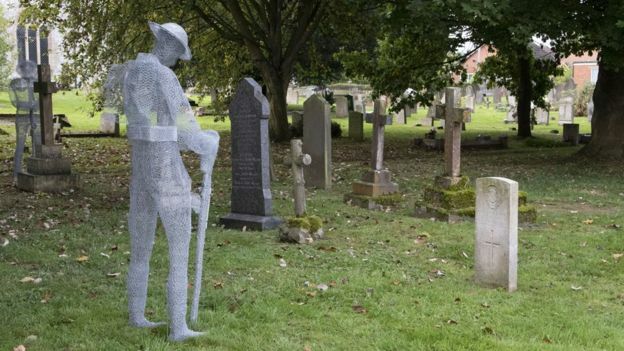 Echoing afresh a thought from a few years ago - for all we are a hobby that seeks to recreate war, I remain profoundly glad and impressed that in general we do so to understand it, not pointlessly glorify it. 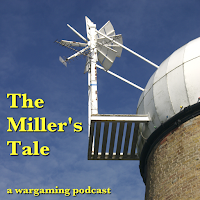 Episode 3: In which Mike gets caught out by summer holidays and Real Life. Please note: the majority of this podcast was recorded in early August, hence some of the remarks and news items are a little out of date - they are, I hope, still as valid as when they were made. Episode 2: In which Mike attempts to remember how this podcasting thing works! Due to local adverse weather the police have closed access to Newark Showground. Therefore Hammerhead has been re-scheduled for 28th April 2018. Please share. Today? Today I did my taxes! Go me! Also went out, test drove and placed the deposit on (so, pretty much, bought) Anne a new (to her) car (the old one's a write-off) with which she is absolutely delighted, and I did manage to sort out printing quotes for various size print runs of a certain 72 to 96 page colour paperback book that you're all interested in. The good news? You'll be able to buy a printed copy. In colour. Tomorrow I'm in London all day for an interview, so don't expect much. [We] got together on the 20th to have another run at the scenario in which you played during your visit to the Twin Cities. It turned out very different this time. Looks like fun, and another excellent demonstration of the Napoleonic Command rules. Apologies for missing yesterday - three different recruiters decided they wanted to talk to me about jobs. After several go-arounds explaining what my plans were, and why they want to let me telecommute, I think I have one very good lead, and certainly another that's worth following to the next step. After that? Off to play a gig, and back home at 0030 or so. This rock and roll? Definitely a young man's game: I ache today! Big committee meeting. Lots of action items that I'm slowly walking through. Couldn't resist this when I saw it, either. It's an 009 (or in wargames terms, 20mm figure scale (aka 1:76/4mm to the foot), 9mm/2'3"gauge) layout representing a WW1 trench railway in 1918, built by Calum Willcox, a.k.a. SDJR7F88 on YouTube. Really rather fabulous, I think. Lovely attention to detail, and clearly lots of thought gone into the staging of each vignette. 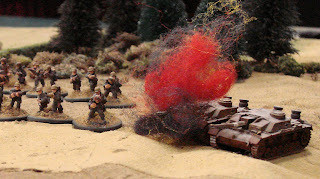 Would you like to see something like this on display at a wargames show? Once again, I get to comment on where hobbies collide. 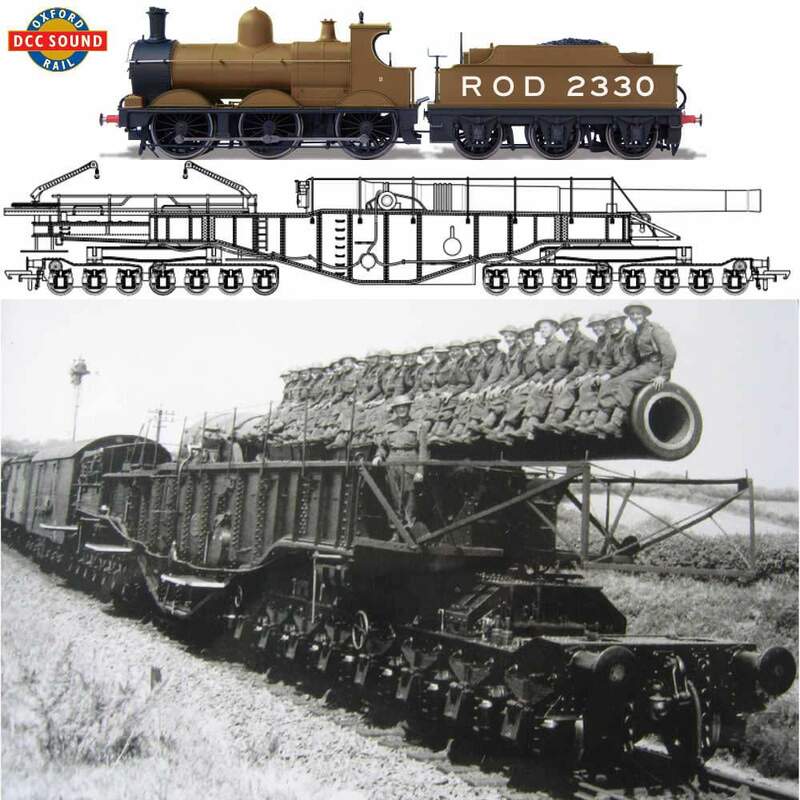 No more details on the Oxford Rail site, but it would appear from comparing photos to be this beastie, the Ordnance BL 18 inch Mk I howitzer on truck, railway (Boche, destruction for the use of :D) along with a Railways Operating Division Dean Goods. Not entirely sure I can justify one, but I'm sure someone out there who plays CoC in 20mm could come up with a scenario... I'd also note that I don't believe the price, since a Dean Goods from them on its own is way more than that! "You want a whole army of kick arse shieldmaidens? Well, hello. These are suitable for both Dark Ages and Fantasy wargaming, with some of the units and characters also being versatile for a whole number of uses. The core troops are historical dark age (but cool and interesting enough to be used with fantasy) with a mythological twist with some of the characters. All the crazy stuff is rooted in Norse Mythology. And following Bad Squiddo tradition - yes we have some adorable critters!" They are really really nice sculpts, and are of fairly generic usefulness in any Dark Age or fantasy arms, and I want them! Pledged. Go thou and do likewise. Compendium: research. Ho. Hum. Tomorrow, a BIG table edit. Club: swearing a LOT at various WordPress plugins that don't do what I want despite advertising that they do. "Setting the Scene" book - act now if you haven't bought it! If you haven't bought a copy of Pat (Silver Whistle)'s stunning scenery book, Setting the Scene, I have good and bad news. The good news is that they're planning a reprint if there is enough interest. If you go to the link from the book title, you can register an interest, but don't hang around as they're only letting this run for a week or so. I'm going to have to take a day out sometime to do my taxes before the end of the month. Also, please remember you have until Feb 1 to enter my 750K page view draw for a £20 TFL voucher. Miniatures-based boardgames, or board-based miniatures games? It was noted on the podcast (that's Meeples and Miniatures to you) a while back that we did seem to be moving into an era where there are a lot more RPG lite/skirmish/call them what you will games - see also a recent topic brought up by Peter from Baccus, which you can probably catch on the next Meeples episode. 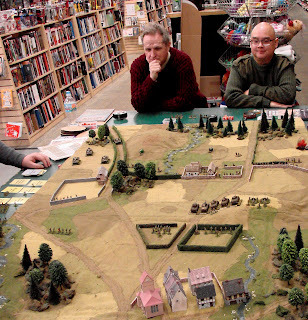 And the followup to those: is this trend going to be a gateway to 'proper' wargames, in the same way that people seem (certainly in our club) to gravitate from fantasy towards historical? You know, I have to admit when I started this I wasn't expecting quite that many, even if there's been the odd hiatus to posting here and there. A huge thank you to everyone who's posted comments and encouragement, be it here, Twitter or FB. It's certainly helped me grow as a writer in all styles. But wow. 750,000! In just over 7 1/2 years. Not too shabby. So, with that in mind, it's giveaway time! Comment here for one entry to win a £20 Too Fat Lardies gift voucher. Share, and link to your share in the comment, for a second entry. And what the heck, I'm shameless - link to my Mill House Studios (again with proof) site for a third entry. The winning entry will be picked randomly on Feb 1 at 12 noon. What would you like to see more of on the blog, if anything? What would you like to see less of on the blog, if anything? Anything I'm not blogging about you'd like to challenge me to? Jolted rather rudely out of bed by a very large bang under the window. So Anne has my car for the day, and I've spent the entire day playing phone tag with insurers, repair shops and car hire. To add insult to injury (or perhaps more accurately the other way round) I pulled a calf muscle chasing after the car hire bloke to get him to park in the right place. Ow. Managed to get some club admin done while waiting for phone calls and people to ring the doorbell, and added a couple of Firefly pieces to the Mill House Studios site. It's something, I guess. Phew. I have a phone again with a working touch screen. Definitely among the more serious of First World Problems, that :D (and another two hours of driving around Peterborough and moaning at Halfords about my non-working hands-free kit (now I have a phone to prove it's not working!)). Just to whet your appetite, here's the draft cover. 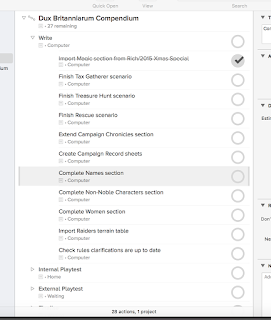 Much head scratching over trying to tidy up the campaign flow section, and figuring out how to reduce it to an 'every campaign month' section without it starting to look like a 'pick your path to adventure' book ("If the British have won, turn to paragraph 4.1") :D Copious notes and a rough outline. Decided how to deal with Rich's "Meaty Dux" article from the 2012 Summer Special, which is really just about adding a level of detail to the defences for each province. And means I have to completely re-format and probably re-title the blasted Terrain table again, adding two more columns - made a start on this. Swore a lot. Re-formatted the record sheets section to be on white backgrounds for ease of printing or photocopying. Did the necessary Wordpress magic to hook the site up to FB and Twitter. Dug out some of my bits of game-related fiction and added them to the site. If after reading them, you would like to consider commissioning me to write game-related fluff for your rulebook or supplement, get in touch! My wargames writer for hire site is now up, and I'll be registering with HMRC as a sole trader (alongside any future full-time developer work) sometime before October. How's it going to work? Well, the blog will stay here: it's where its always been and I see no reason to move it. The Mill House Studio site exists to gather together and showcase published stuff I've done for magazines etc, and will also include the 3D printing services, web and design work, audio, etc. Which pretty much sums up today's accountability post, after quite a bit of pondering things through yesterday: I designed a logo and built a website. Compendium progress: largely note-taking and thinking today. Had a long think (and talk with Tom at the club) about battles again. While I think we have a kind of solution that improves on what's in the rulebook, it doesn't quite have the right feel. Need to think some more. Also, club scenery audit, so I came home with a box of stuff needing repair. I'm allowed a day mostly off, right? It is Sunday, after all! A bit of restructuring and reformatting (Mac OS X Pages is brilliant for that) of the Compendium, and for those who missed it, I gave my writing chops a workout and wrote the next piece for the Linnius Campaign, at least partly inspired by Bad Squiddo's figure range. Oh, and I built Warbases's sightscreen from their Cricket Pavilion kit. Need it for Dead's Army :D I'd upload a photo, but the touchscreen on my iPhone seems to have literally just packed up. At last. A morning where it isn't just miserably wet and grey. I was starting to hate these British winters. This past one, particularly. Strange, as old Theobald used to say about Leofric the Drunkard, how you don't miss something till it's not there any more. No Ecgwine, blue eyes aflame, brashly questioning the Young Wolf's decisions. No Lavinia, with her head of raven-dark hair leaning next to his unruly straw-pale mop, slim hand on his arm and the quiet word that tempers his rashness. Truth, we'd seen less of that this last year, as he'd started to learn wisdom from all of us, and she'd thus had to do it more infrequently. The ring of metal on metal has been the music of the Hall most days, with none questioning our Cyning's resolve to make us harder, better. Which is why I'm here in one of the Hall's outbuildings, sorting through a batch of new-made spear points. That and it gives me something to do. We're missing Beornwulf too this winter, sent on a thankless task to bear news of his son's passing to Ecgfrith across the great sea - Ecgfrith the Cyning, Aelfric's father's brother, who charged us - me and Aelfric especially - to take care of his son and make him a man. "You can't argue we managed one of those...."
"Mmm?" Aelfric, damn him, still has a habit of sneaking up on me. "I... uh. Just musing aloud." He eyes me for a moment, with that maddeningly prompting look of his. I sigh. "Ecgwine." Again the regard. "Your uncle. 'Keep him safe. Make him a man.'" Aelfric nods, "We tried." A pause, then, ruefully. "And we were..."
"Ho there!!!!!" It's a yell from the gate, young Hedric. "Someone's coming up the round. A band of men..."
The Young Wolf treats me to a sudden grin. "I'll bet you it's Beornwulf." I grin back. "Not taking that bet. I'll catch you up when I've tidied this lot away." I head for the gate, slipping through between a couple of the buildings to join the throng: there's much backslapping of Beornwulf, and the group of warriors he's brought across the sea with him. Hel's teeth, he's even managed to persuade the tall, rangy Deorwine, one of Ecgfrith's Gedriht that I actually don't have any grievance with, to join him. He's a skilled horseman, and a fine warrior, quiet yet intelligent: never a score of words when two will do. I'm just about to clasp him by the hand when a slap on my back nearly knocks the breath out of me. "Not dead yet, then, Godric?" I really should have spotted that distinctive hair amid the small crowd, but she isn't tall, certainly not among men. The voice, though, is unmistakably hers, a low alto rasp. I allow myself a second or two, as Deorwine gives me a knowing wink, lips quirking in an amused grin, before I turn. "Gytha." There might be even more grey in her locks, but other than that she hasn't changed in the time since we left. Hair the colour of iron down to her shoulders; the same well-worn mail; axe and sword at her belt; the white line of a scar the length of her cheek from a blade; eyes the grey of a winter sky. A smile, rendered slightly crooked by that scar, quirks her lips. "Miss me?" She always did start with the difficult questions. Now if I could actually find the box that has Bad Squiddo's shieldmaiden warriors blister in it (which I'd link to, but I can't find it on Annie's site either! 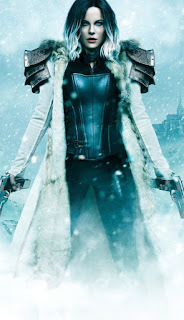 ), I'd have Gytha painted up by now. Unfortunately, I suspect it's somewhere in the stuff we cleared out of the workshop so the builders could do their stuff, which means I have almost no space to move stuff into to search for it. That and it's cold out. Well, that didn't go as planned! Responded to a post on the Facebook Dux Britanniarum page for Dux stuff in the TFL Specials, to find there were two articles I had omitted from consideration due to not being aware they were Rich's. Today, then, I spent tidying, condensing and editing the weather rules from the Christmas 2012 Special: there's a lot of additional descriptive text which has a place in a Special article that really doesn't need to be in a rules compendium, and of course cutting and pasting text and tables from a PDF always leads to entertaining issues. Tomorrow, back to consolidating the campaign advancement tables, including Rich's other article, into Appendix 1. 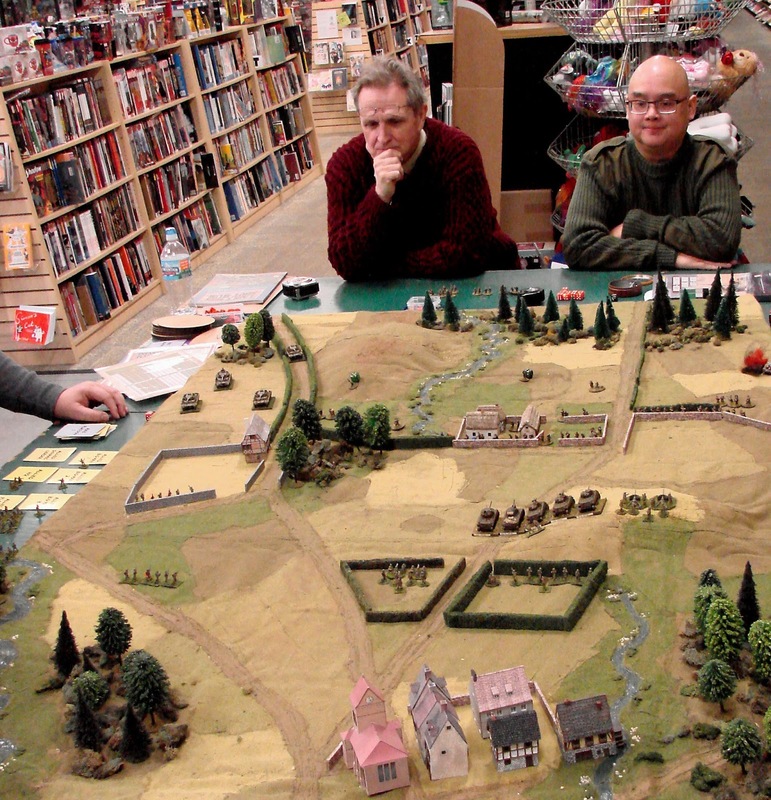 Battle Report - 30 Dec 2017 - Napoleonic Command "The Battle Of San José"
My second game in the Twin Cities, again courtesy of Jeff Knusden and the guys at the delightfully named ATF group (yes, that does stand for what it usually does: Scotch, fine cigars for those who will, and wargames! ), hosted at expat Brit Elliot's house. The rules were Warartisan's Napoleonic Command... very very different to anything I'm used to, and very thought-provoking. 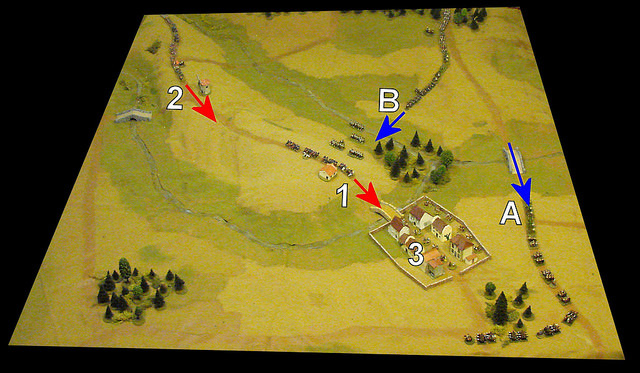 Essentially, units have areas of influence that extend out in front of them, into which they assert Threat points. These get matched against a target unit's Cohesion modified by a dice roll, and that determines what happens to the unit. Also? You start out in column of march, and part of the tactical headache is how to deploy for the battle. The dice mechanic is interesting - every roll is d6 minus d6 (largest minus smallest) - makes for an interesting probability table. The rules are 42 pages, including diagrams and photos (the actual rules take up 12), and the QRS is one side (not double sided) of paper. If you want to learn more, check out Jeff's brief intro on his site. British Foot in column of... erm... yomp. 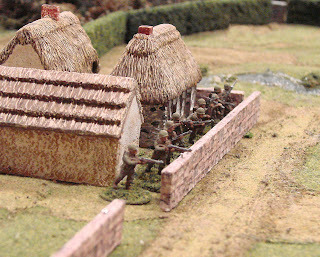 A Peninsular scrap, in which the British and the French are converging on the Spanish held town of San José. I got to command the British, and... well... It could have gone better. 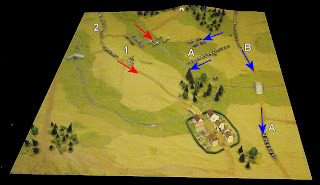 The plan was the lead British division (red arrows) yomp for the town, while the cavalry cut across to distract the French. All very well, except that there's a hill on the road, which (perhaps with hindsight) we might have been better skirting round rather than letting it slow us up. By the time the first division had crested the rise, a unit of French cavalry were most of the way round the back of San José and heading towards us, the valley between the roads was turning into a massive cavalry scrap, and the first French foot were almost in the town. 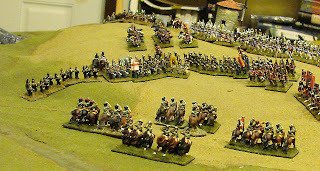 Those cavalry proved to be a right pain - obviously I couldn't ignore them, and they could get between me and the town. Cue a lot of cautious manoeuvring, until I finally got enough units to bear to drive them off. By then, of course, the French had taken the town, and were on their way up the blasted hill as well... It's all a bit of a horrid logjam, since half my infantry have been blocking the road sufficiently that I've only just got my artillery to bear on the cavalry melée, and poor David commanding the rear division hasn't broken out of column of march yet! Not an auspicious début as British CO.
For more pictures, and Jeff's description of events, see his Flickr album. Again, a huge thank you to Elliott, for hosting us and running the game, and everyone else for excellent company. Oddly quiet day, apart from showing Reuben round the building works and feeding the builders tea. I have been mostly doing something I should have done a while ago, namely re-reading the two Dux Britanniarum books and making notes: had an awful moment of wondering whether I'd screwed something up in our campaign to my detriment, but sadly not :D I aim to spend a chunk of tomorrow making sure I have the rules from all three books for a Lord's advancement properly amalgamated. Other than that, seems to have been a day for life-related admin (oh the joys of being technically unemployed). 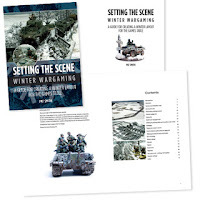 Silver Whistle (Pat Smith)'s rather fabulous "Setting The Scene" book, on terrain building, specifically a winter table. Gorgeous pictures, and I've always found his scenery work an inspiration - check out his SP/War of The Roses table. Recommended buy, definitely, with just one teensy criticism: given the amount of white space available on all the 103 pages, it might perhaps have been a kindness to those of us with failing or recovering eyesight to up the font size on the text a bit. But that's my only gripe on an otherwise absolutely beautiful book. Probably a sign that I've been busy that all you're getting is an accountability post today. Completed first draft of one of the remaining Raid scenarios. Placed an order with PE2 Collectables for some Warlord Home Front bits (one each Operation Sea Lion - Defenders of the Realm, Smith Gun, Northover Projector and Blacker Bombard). Some of these may or may not put in an appearance in Dead's Army. Unpacked the Mythic Battles: Pantheon KS box to check contents. Unlike Neil's and Mike's, it all arrived in one 75 x 55 x 50 cm box. Now I just have to decide what the heck to do with it. I'm making a policy of keeping this as a separate post when the regular day's post is a battle report or part of a series. Back to the Compendium tomorrow. Right. 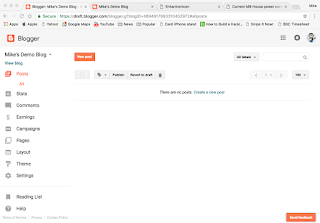 Go to your blog's management page (click on the B in a square, top left if you're not there already), and click Layout. Lets go through some of these. All you need to do to make changes is click the little Edit link in the bottom right corner of the gadget's box. The Favicon gadget just sets the icon that appears in your browser toolbar when you visit the site. All you need is a small logo, 100px square, and you just upload it. The Header->Navbar gadget controls the Blogger navber across the top of your page - you can turn it off, or change its colours to match your blog. The Header->Page Header gadget allows you to set a banner image, fix the title and change the description of your blog. Ignore the boxes with 'Add a gadget' in for now - we'll cover useful other gadgets next time. 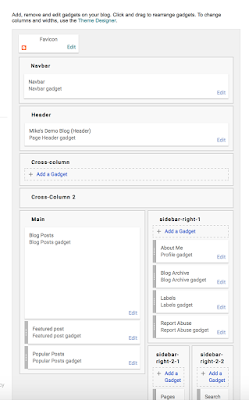 In the Main section, you have the Blog Posts gadget - this allows you to configure things like the date format, how many posts or how many days of posts to display, what data you want to display about the post, etc. Again, it's all pretty self-explanatory and like everything else here, the beauty of it is it's really hard to break things! Featured Post allows you to tag a post as being exactly that, if the theme supports it. You can make it the most recent or if, say, you have a welcome/about post you want to be always visible, you can make it that instead. Popular Posts gadget - does what it says on the tin - one thing to be aware of is that you can define the time range over which 'popular' is measured, depending on whether you want a bias towards recent material. I have a very odd post that has an insane amount of hits (well over 20,000 and twice as much as the next nearest...) for no reason I can see, and I've tweaked that setting so it gets ignored as being too old. The About Me gadget takes your 'about me' entry from your Google profile as your author bio. You may want to consider if you actually want to do this, especially if you use your Google account for multiple things and thus have a non-subject-specific bio! If you don't, but still want a bio in the sidebar, I'll show you how in the next post. Blog Archive shows a list of posts by month, or week, or day - very handy for letting your users navigate through your posting history once you have one. Labels: as you probably noticed last time, you can label a post with keywords, This just allows viewers to click on a keyword and find the posts that use it. Both this and the Blog Archive you might want to remove until you have enough posts for it not to be embarrassing. Report Abuse: link so viewers can do exactly that. Not configurable beyond having it there or not. 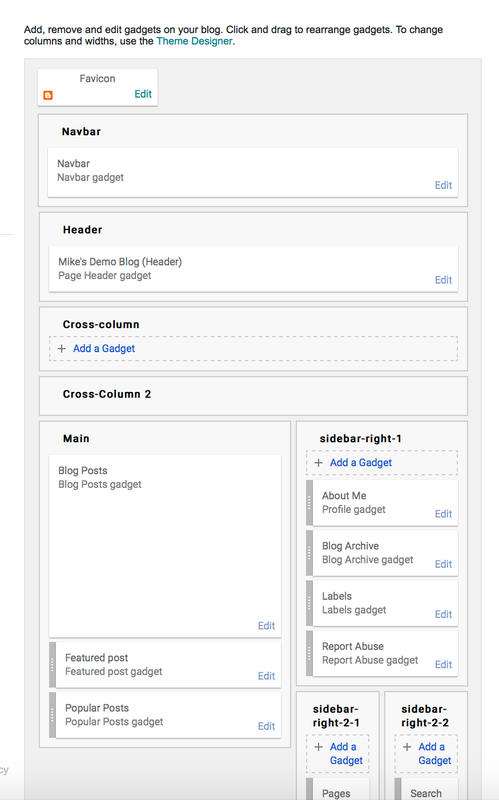 Pages gadget - you can create static pages in your blog - such as the Linnius Campaign one here. They're a useful way of keeping more permanent content handy, and this gadget lets you display a list. Search this Blog, and Follow By Email. Do what they say on the tin. Attribution gadget. If you do nothing else, go read this article and then edit this gadget so your blog has a copyright/attribution notice, and consider creating a copyright page. And remember to change the year every Jan 1 (like I forgot last year)! And there you go. Pretty sure some of this was obvious, but I hope there was some useful insight here. Next time, adding new gadgets. It’s a matter of some scholarly debate as to the role of women in the society of Dux Britanniarum. 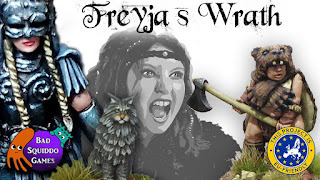 Whether you choose to allow certain game roles to be filled by women is really up to you, but it seems to me that given the availability of a number of very nice sculpts for Saxon shield-maidens, for example, it would be a crying shame to pass up on them. Equally, the British can trace a legacy back to the likes of Cartimandua and Boudicca, for which there are also figures to be had (even in Roman armour). As such, I’ve made a conscious decision, after a fair amount of consideration, not to provide any actual rules differentiating the abilities and characteristics of the sexes in the Compendium. 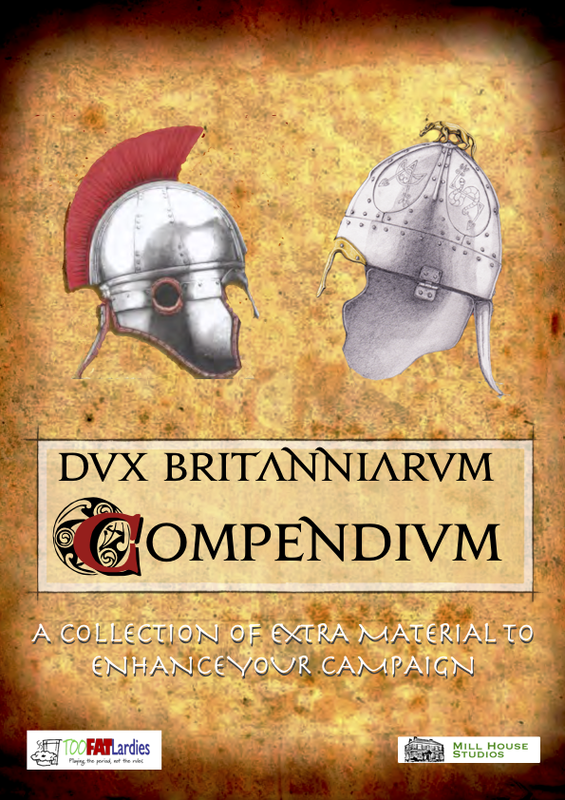 If you’re treating Dux Britanniarum purely as a wargame, it’s not going to matter at the level of abstraction the game models a warrior at, and if you’re immersed deeper in the game as a vehicle for telling a story? It’s your story, and the narrative and your perception of the setting is going to drive events far more than any rules I can come up with. My story has heroes and heroines. Fed the builders lots of tea. Definitely something to check out. 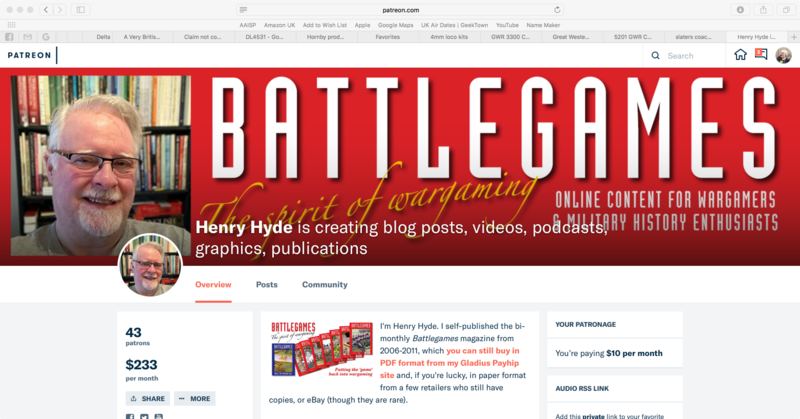 Henry Hyde has started a Patreon campaign, in order that he can continue to spend time providing hobby-related content alongside other career options. 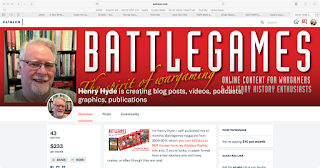 I've pledged, as I think Henry is a fabulous voice in and contributor to our hobby, and deserves our support. As for me, on a semi-related tack, today's the first day of officially working at various hobby projects full time, which means today's the first accountability update. I had a question from a reader (and actually, not for the first time) the other day, on the general "how" of getting a blog like this set up. It's not hard, but it can seem a bit daunting at first, so, in the interests of having the answer somewhere that can be saved for posterity, I thought I'd do it as a blog post - in fact, inevitably, this is going to be a series! First up, why Blogger? The simple answer is, because most of the blogging wargamers are using it, and it gives you the chance to join the community. With that said... go to https://www.blogger.com/ and click on the 'Create Your Blog' button. It will prompt you to log in with a Google account - I'm assuming you have one, since most folks do: if not, you'll need to create one before you can use Blogger. You'll then be prompted for a title for your blog and a domain name. The former can be whatever you choose, the latter will be <something>.blogspot.com. As far as the <something> goes, it can be whatever you like as long as it's a) memorable, b) unique and c) only contains letters, numbers and dashes. At this point you also get to pick a theme. 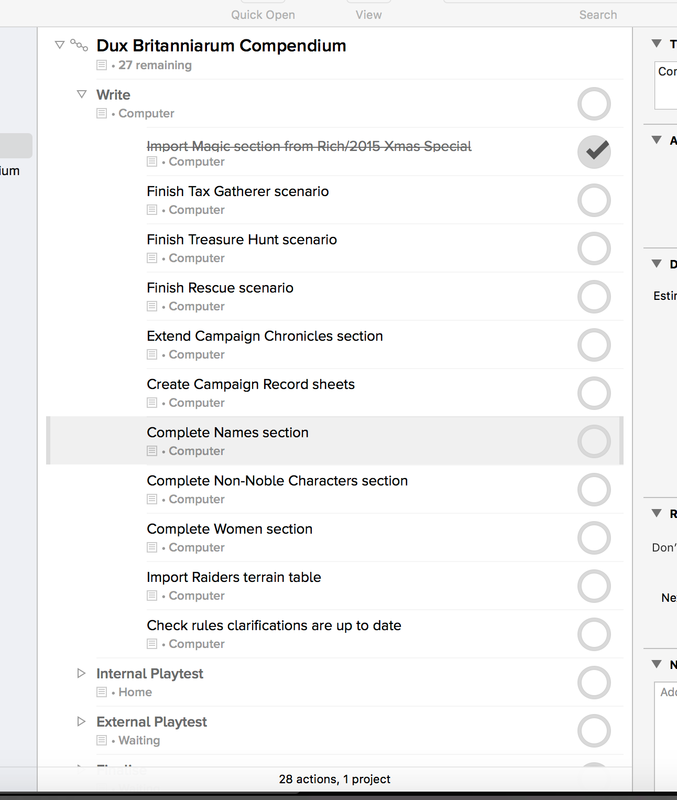 This you can change later, so pick one that looks OK, and then click on 'Create Blog!'. Ignore the Google Domains prompt (they're after your money!) that follows. There. You have a blog. That wasn't so hard! You'll now be faced with the management screen - see right. The first thing you'll probably want to do is create a post, which is all in all pretty easy: hit New Post, give it a subject, start typing - c'mon, this is the easy bit, you wanted to create a blog so you must have something to say! When you're done, hit Publish, and there you go. Your blog has content! 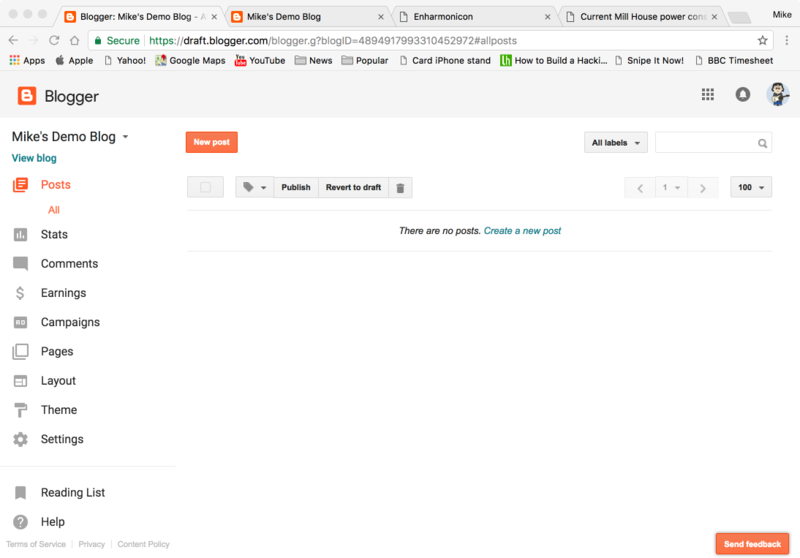 Next up, I'll cover adding fixed content such as sidebars etc, to your blog. ...and quite an interesting one. We had the 400th member in the FB IABSM group late yesterday. One lucky member won a £10 TFL voucher (I'll probably do a £25 for the 500th). Quite an achievement for a group that's only been going for a year and a bit! This blog (given my shocking lack of posts lately) is under 10K views short of 3/4 million, which is not bad, I suppose. Apologies for yesterdays missed post - I was engrossed redrawing the club logo, doing prep work for Monday's AGM and starting to plan what I'm doing over the next few weeks. Hang on - milestone. (Even if not for this blog.). 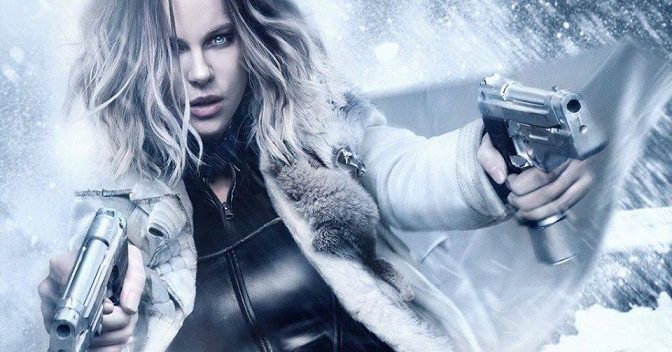 That means Kate! Battle Report - 29 Dec 2017 - IABSM "Beginning the Bulge"
A big thank you to Roy for organising this year's gamers Secret Santa. Due to haring out of the country like a mad thing on Boxing Day morning, I've only just got round to catching up with things Christmas-related (there's still cake left! yay! ), so I'm delighted to note that my recipient seems to have liked his gift, and also thank you to my Secret Santa for the Napoleon At War French cavalry blister. ..,and napped, and fed, and catching up with stuff before a proper night's sleep - my brain is very confused as to what TZ I'm in! It's also warmer here - about 75ºF warmer if you allow for the wind chill! A huge thank you to Jeffrey Knudsen (of The War Artisan), Elliot James, and the rest of the guys from the Centurions Wargaming Group and ATF for hosting a couple of excellent games: photos and AARs to follow later in the week. 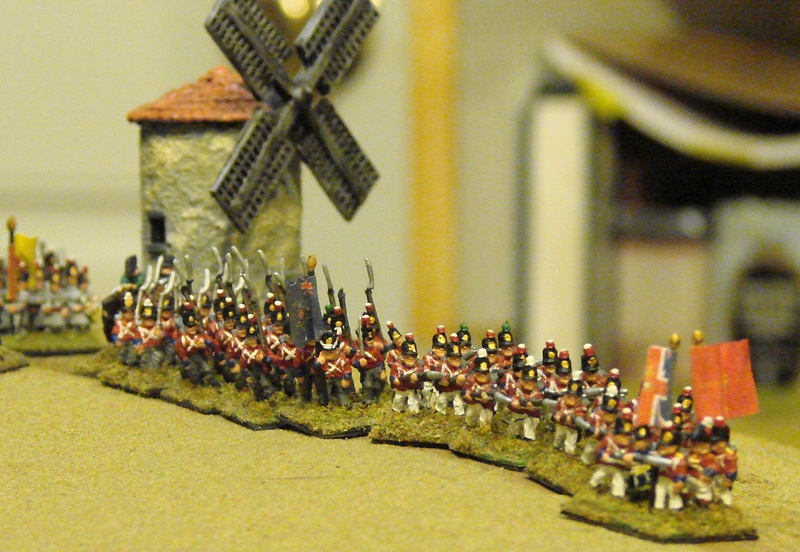 I seem to have come away with some interesting sets of Grand Tactical Napoleonic rules for review, too. More later when I'm properly awake. ...from the Hyatt Place in downtown Minneapolis, where I am killing time till I can head for the airport and home. Battle reports on a couple of games that happened while I was out here to follow, when I get back and fully awake, but for now.... a quick review of 2017 and plans for 2018. Operation Get S**t Done progressed... well, a bit. 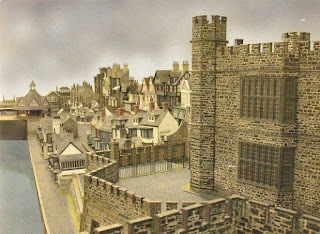 I did make a reasonable attempt at not buying loads more stuff (barring a couple of big KS pledges): major purchases were SP2 forces for the Peninsula and needed buildings and scenery for the club IABSM campaign, and a Nights Watch force for the club Game of Thrones campaign. 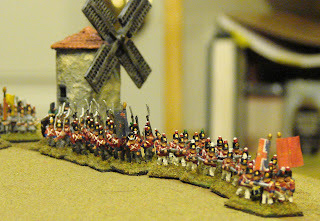 I'm essentially a full time wargamer and writer till, probably, Easter. Top of the list, obviously is to finish the Dux Britanniarum Compendium, followed by several other things. Also, to get back into the habit of blogging regularly, which will, I hope, include being publicly accountable for my time over Q1 of 2018. Given the number of people who very kindly describe this blog as inspiration, I clearly need to get off my duff and live up to that.